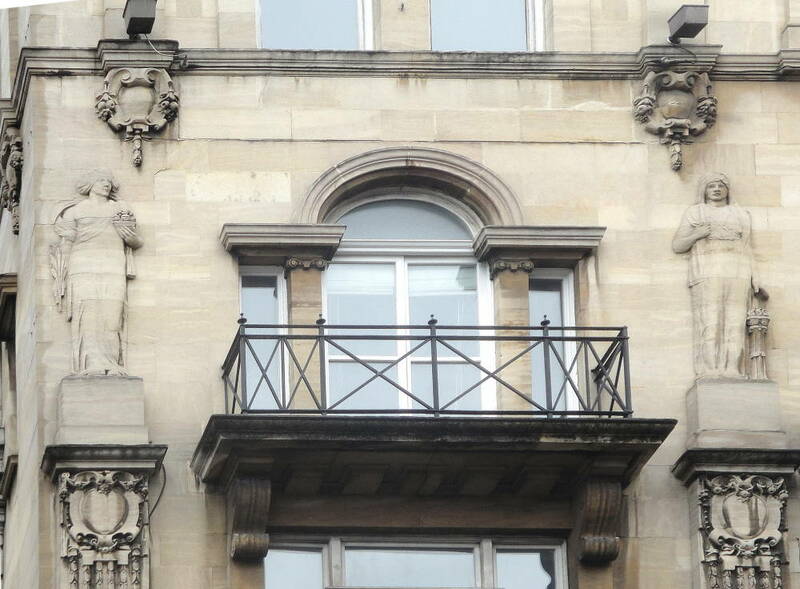 Details: Left: A closer view of the figure of the left; Right: The disposition of the two figures on the hotel's façade. 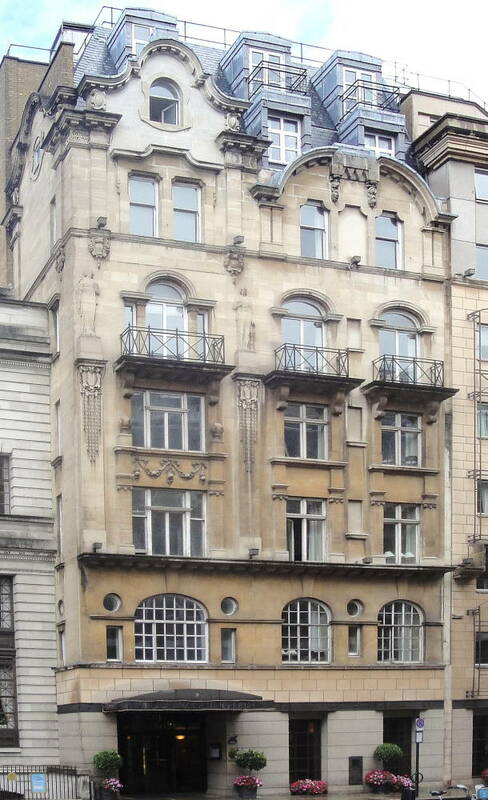 Bradley, Simon, and Nikolaus Pevsner. London 6: Westminster. “The Buildings of England.” New Haven and London: Yale University Press, 2003.